living space. The 38,000 square foot clubhouse is exquisite in its interior design and architecture. 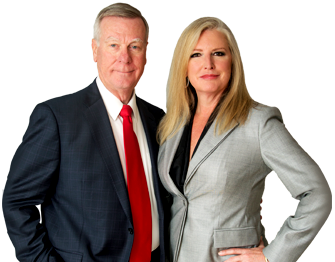 Each resident automatically receives a social membership with the purchase of a home. Enjoy dining, tennis, and fitness facilities along with a resort-style pool and spa. Resident and associate golf memberships are also available for homeowners who wish to take advantage of this prestigious course. 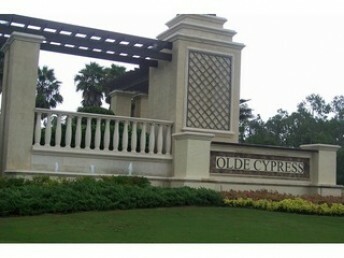 Villa Neighborhoods within Olde Cypress include Santorini Villas, Ibis Landing, Viat Tuscana, Egret Cove, Terramar, Santa Rosa. 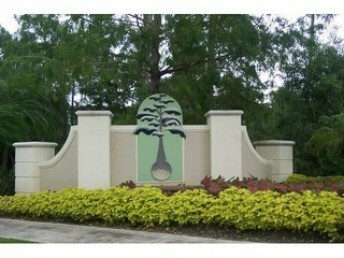 Single family home neighborhoods include Wild Orchid at Woodsedge, Strada Bella, Biscayne Place and daVinci Estates. 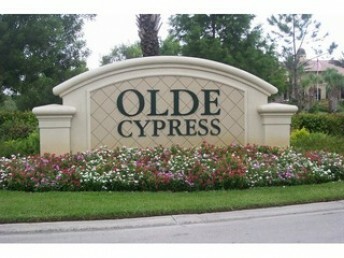 Located on Treeline Drive just off Immokalee Road in Naples, Olde Cypress is conveniently located to popular shopping and dining destinations. Naples’ finest beaches, 5th Avenue Shops and 3rd Street Shopping District are just 15 minutes away.